Every scholar gets in a quandary when they are about to take the last call on their career prospects. The right decision will always save us from all the hard work which you may have to go through while pursuing our goals and dreams. Ukraine has so many options as several universities providing best world-class education, and all seem to be the right one too. But what follow next mode of payments, discrepancies in the degrees, financial assistance and practical training. The quality of teaching is assessed by the teaching staff and then by the technical facilities provided for training, Bukovinian State Medical University satisfies both standards. Bukovinian State Medical University is well known reputed university not only in Ukraine but also in abroad for its custom of training and for its highly adequate staff. 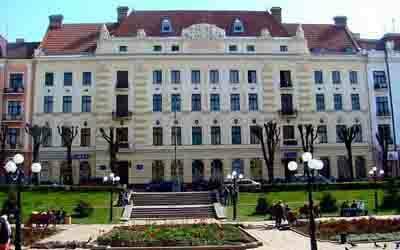 for those who are willing to become a doctor with excellence and complete knowledge of their profession Bukovinian State Medical University is the best place. Admission to UG and PG courses are open to all overseas students, who are meeting the qualification of Bukovinian State Medical University and of the respective country and the application fourm is accessible for the students from 1st of July to 1st of October of every year. Document and mark-sheet of secondary (10+2 or equivalent class). Minimum 50% of Marks in Physics, Chemistry, and Biology are expected as qualification criteria of apply in the Medical program. HIV test report from the perceived government hospital. Qualification Certificate from Medical Council of the respective country. The candidate must have been above 17 years of age on or before the 31st of December of the time of admission. The candidate must have proficient knowledge of English and Sciences terminology. Approved photocopy of all the necessary Certificate and mark sheet of MBBS or equivalent exam. Registration Certificate of Medical Council. As per the law of Ukrainian Management, the student visa is issued by visa section of Embassy of Ukraine only from 15th August to 15th November. The official request for studies in Ukraine is given by Bukovinian State Medical University on the basis of which Ukraine Embassy gives a student visa to travel Ukraine. First Certificate & mark sheet of 10th class. First Certificate & mark sheet of 10+2 or similar class. Then the Embassy of Ukraine approves all the translated version of these documents, which are to be shown in Bukovinian State Medical University along with the legalized original documents at the time of enrolment.